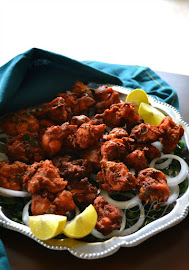 What can beat a perfect starter other than Chicken Lollipop? 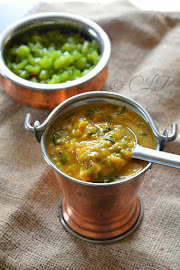 this is my all time favorite and its been in my list of to-do recipes for so long. 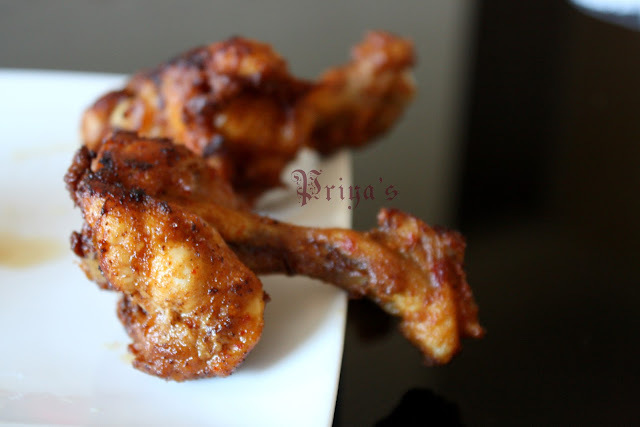 Some call them chicken lollipop others chicken drumstick. 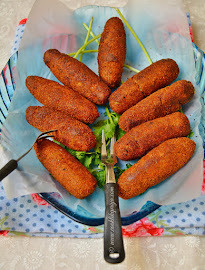 We had guests over the weekend and I just knew I had to do this recipe for starters. You must be knowing by now what happens when I start frying the chicken, well had my wonderful husband waiting to try the first one and then the second and then he did not get any :P until the guests had their share. Although there are versions of stuffed chicken lollipops and even those with bread crumbs but you just want something to suit your taste buds. 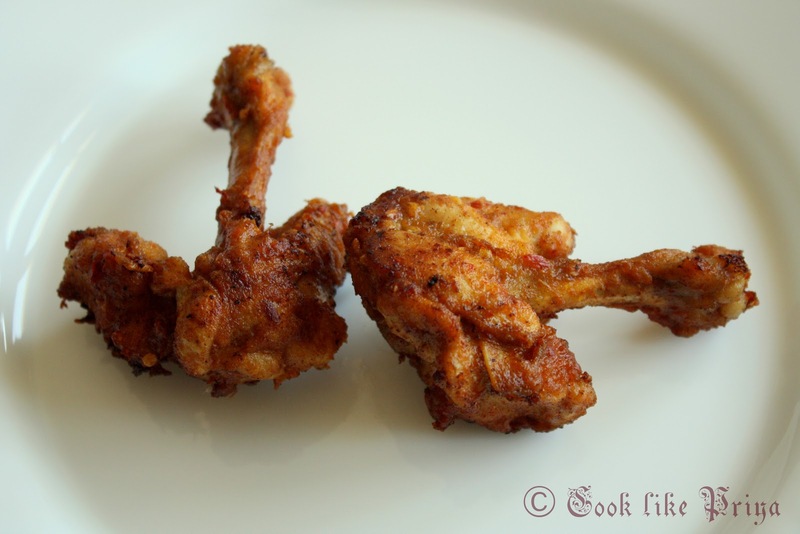 I must admit that one of friend Sherin Deepu had posted her chicken lollipop and it did push me to try the dish but do check her version here. 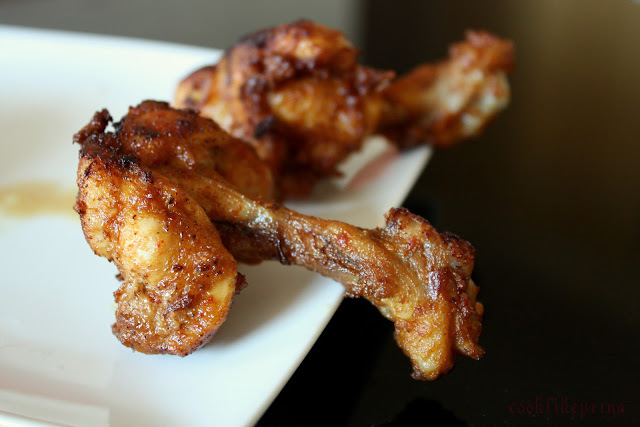 Chicken Lollipop are done from chicken wings, but without the skin and in my opinion its best to get the butchers to do the chopping work, unless and until you would want to do it yourself at home. You can check this video to see how the meat is cut. Well I went the easy way and gave the job to the butchers to cut the lollipops for me. 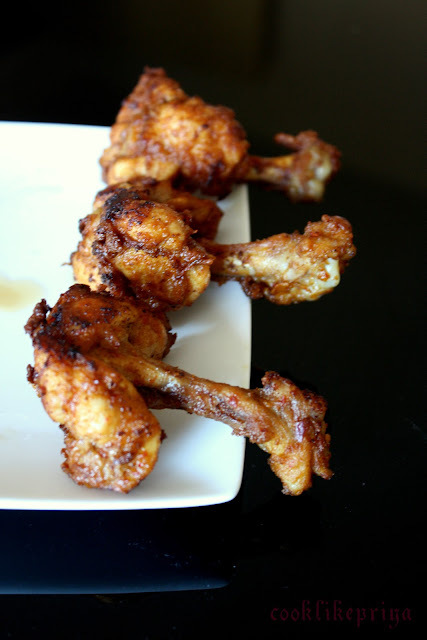 These chicken lollipops are tender and juicy and do not require a dipping sauce whatsoever. They taste good all by themselves and I did make a big batch of 15 lollipops and needless to say it all got over. 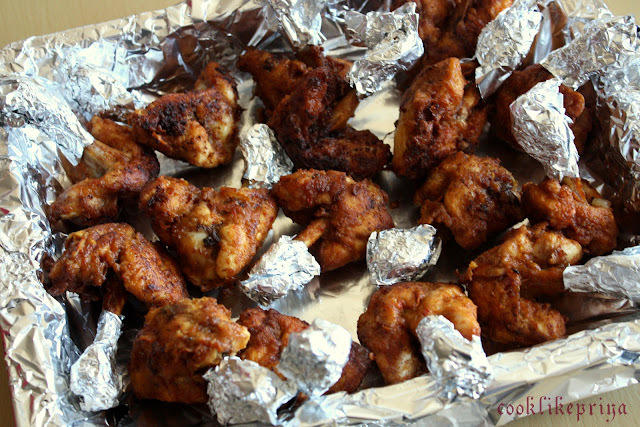 Well I did not have much time to take fancy pictures but I sure cannot keep this recipe with me so want to share it with you all :-)I did fry them an hour before and lined them in a foiled tray to be grilled for 10 mins before serving, it still tasted great and they simply loved it. Love these lollipops..I am literally drooling here seeing the pictures.. yum!!! Perfect starter for any party..
My kid is bugging me to make some since he saw ur lollipops Priya, super tempting. Great preparation dear,kids will love this,perfect for a party.. Delicious lollipop!! 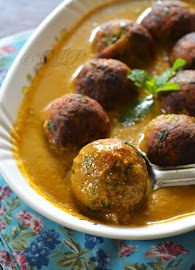 looks perfect and great for get together appetizer..
this is too good Priya..perfectly done. 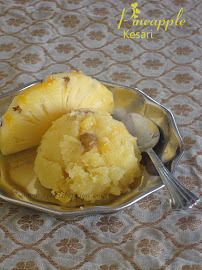 Thanks for linking this delicious recipe to my event.